What is Sacroiliac Joint Dysfunction & do I suffer from it? What is Sacroiliac Joint Dysfunction and do I suffer from it? 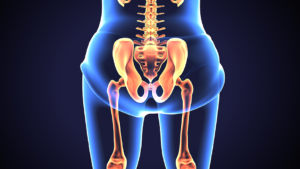 Are you suffering from pain in the hips, lower back, legs, or buttocks? If so, you could be dealing with an issue with the sacroiliac joint. Often times lower back pain can be attributed to this often overlooked joint. Many people have never heard of the sacroiliac joints and have no idea what they do, where they, and what their function is within your body. You may not be aware of the sacroiliac joints, but you may be familiar with the pain caused when something goes awry with them. In its simplest terms, the sacroiliac (SI) joints are what connect the spine to the pelvis. The sacrum is the triangular-shaped bone at the bottom of the spine and the illiac bones are the two large bones that make up the pelvis. These bone are all held together by a network of very strong ligaments and muscles, stabilizing the area: there is very little motion at these joints. Most of the movement around the pelvis is either facilitated by the hips or the lumbar spine. The SI joints primarily act as a shock absorbing device. The SI joint supports the weight of the upper body. It transfers this weight and absorbs shock between the upper body and legs. In addition, it limits the stress between the lower spine and hip during weight-bearing activities. 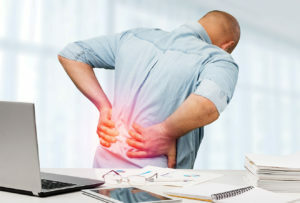 The pain associated with the sacroiliac joint often occurs in the buttocks and lower back, but can also affect the legs, groin, and even the feet. Although some people experience pain in both legs or hips, many with SI dysfunction have symptoms in only one left along with the lower back. As with most joints in the body, the SI joints are protected by a layer of cartilage, and just like anywhere else in the body, when this cartilage is either damaged or worn away, the bones begin to rub against each other, eventually causing degenerative arthritis, sometimes knows as osteoarthritis, to develop. Many times sacroiliac issues are seen in mothers who have ligament loosening due to pregnancy. Other cases in which we often see SI joint issues are trauma from injury or accidents, patients with arthritic conditions, and patients with previous lower back surgery. Often times a direct fall on the buttocks or a sports-related trauma can be directly tied to SI joint pain: the force from these injuries can put extreme strain on the ligaments around the joint, and tearing of these ligaments can lead to hypermobility in the joint. There is a common belief that this excessive motion and lack of stability could be the main cause behind sacroiliac joint dysfunction, but the truth of the matter is an exact leading cause to SI joint pain cannot be found. Rest. It is important to let your back and hips rest when experiencing sacroiliac joint paint. Cold packs. Apply cold packs to the areas of most pain. This will help to decrease the inflammation in the joint and muscles. Use ice packs in 15-minute intervals. Stretch. If you are able to move without increased pain, it can be helpful to stretch the muscles of the pelvis first to help loosen your joint and decrease pain. How does Physical Therapy help treat SI joint pain? Here at Advanced Kinetics, our physical therapy treatment for SI joint dysfunction consists of hands-on treatment to loosen the muscles and joints, instruction on stretching and strengthening exercises to restore mobility and stability, and education on the proper gait and movement to decrease pain. After evaluation of your condition, your physical therapist at Advanced Kinetics will assign you positions and exercises to ease your symptoms and we may design an exercise program to improve the strength and control of your back and abdominal muscles. If your condition reveals a limited SI joint motion, our programs will concentrate on regaining motion in order to increase the relief you need for every day, routine activities. This program may contain stretches to improve flexibility in the muscles of the trunk, buttocks, and things. At AKPT we take a well-balanced approach to treating sacroiliac joint dysfunction through physical therapy: stretching, exercises, muscle strengthening, and increasing range of motion. These techniques will help you to limit the pain and discomfort that you feel in your lower back, which is coming from your SI joints. If you think you may be suffering from sacroiliac joint pain, contact us, or call us at (703) 988-4664. We have two convenient locations within the Washington DC metropolitan, our original office in Falls Church and our newest location in McLean. This blog will help you get the most out of your physical therapy and the community of Advanced Kinetics Physical Therapy and Sports Performance. AKPT is reinventing physical therapy, embracing all aspects of movement from treatment, into recovery and on to injury prevention. You may read this and think of your friends, family and coworkers. You may realize that AKPT can do more for you than you previously knew. Read. Share. Act. Use this reinvention of physical therapy to reinvent yourself and your peak performance. Get latest news and awesome offers! To schedule an appointment, please give us a call at (703) 988-4664! Copyright © 2019, Advanced Kinetics Physical Therapy. All Rights Reserved.